In search of the larger picture of media entrepreneurship, I recently traveled from North Carolina to Washington, D.C., and environs to meet with incubator directors, serial entrepreneurs, and others in the digital intelligencia. My goal, I thought, was simple. Engage in conversations about the new media landscape and how to fund great ideas. Admittedly, I went with my own preconceived notions on what I’ve dubbed the East Coast Listening Tour. I was thinking of creating an accelerator to help educate and fund journalism-based projects coming out of the Journalism That Matters Create or Die series of design | build | pitch events in Detroit and Greensboro. But something shifted on that road trip. Perhaps, like in the movies, my character learns something about herself as she traveled down the highways. As I met with folks like Doug Mitchell, co-director of UNITY’s New U incubator and William Crowder, managing director of the Comcast DreamIt Ventures project and Dr. Chad Womack, cofounder of the Black Innovation and Competitiveness Initiative, I stopped thinking and talking. I put on my journalism hat. And I started asking questions and listening. What is needed in the media entrepreneurship space for projects by and for people of color? What do project teams need in terms of education, training or funding? When do they need such interventions? Who is already servicing these people with the skills and knowledge to be successful? What is the audience that is not being served effectively? Many on the National Association of Black Journalists’ Digital Journalism Task Force have talked about the lack of financing for journalism projects by or for people of color. New U was designed to help address that gap. DreamIt Ventures was designed to fill that need. But as I chatted with people just as passionate about media entrepreneurship, the larger media ecosystem became a bit clearer. And the gaping holes became increasingly apparent. With more than 200 applicants for 16 slots in the 2010 class, New U has a very selective process for picking its final teams for mentoring. Four of the 16 go on to actual funding. Same scenario with DreamIt Ventures. Many more entrepreneurs are waiting for their shot than the number of slots available to accommodate them. Venture capitalists talk about deal flow…the number of ideas it takes for the big one to be found. To me, it doesn’t seem as if we have any problem with deal flow with the hundreds of entrepreneurs of color waiting for a chance to be heard. What I see is a tremendous narrowing of the arteries leading to the heart of the matter – funding. And lots of ideas never see the light of day for lack of access to that flow. 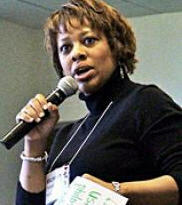 Dr. Michelle Ferrier is founder and publisher of LocallyGrownNews.com, a hyperlocal community news site now in its second year. She is also an associate professor in the School of Communications at Elon University. The Donald W. Reynolds National Center for Business Journalism at Arizona State University has updated its calendar of free workshops and webinars through November. And Media Bistro has its current course list available through December. Ongoing: Steve Buttry, director of community engagement and social media for Journal Register Co., is teaching the Poynter News University course Introduction to Reporting: Beat Basics. This free, self-taught course helps you identify the key issues and sources on your beat, learn how to determine what’s included in your beat and develop the resources to focus your coverage. The Poynter Institute’s News University is holding a webinar, “Mobile Apps: Expanding Your Reach and Audience,” Sept. 8 at 2:00 p.m. The webinar, part of the ONAovation Partnership, will address how mobile applications can help you reach your target audience in new, revenue-generating ways. The cost is $29.95; $9.95 for members of the Online News Association. The Scripps Howard Foundation and American Press Institute will hold a workshop, “Building Your Journalistic Brand,” Sept. 16 in Reston, Va. Taught by Joe Grimm, Visiting Professor, Michigan State University School of Journalism, attendees will complete a workbook that will become a customized branding blueprint. The cost is $15, and includes lunch and a workbook. You must register by Sept. 13. Sept. 15 is the deadline to apply for the Abe Fellowship for Journalists (AFJ). The fellowship is sponsored by the Social Science Research Council (SSRC) and the Japan Foundation Center for Global Partnership (CGP). The Abe Fellowship for Journalists is designed to encourage in-depth coverage of topics of pressing concern to the United States and Japan through individual short-term policy-related projects. The National Health Policy Training Alliance for Communities of Color is hosting a training Sept. 21-23 for reporters who are interested in covering health care. The training will take place at the St. Louis Hotel in New Orleans. The training aims to bring attention to important health issues that affect minority communities and to ensure that they have the tools, resources, and information needed to report on these topics. Registration is $75. The Online News Association will hold its annual Conference and Online Journalism Awards Banquet Sept. 22-24, 2011 in Boston. The Donald W. Reynolds National Center for Business Journalism will hold a morning workshop Sept. 25 during the SPJ/RTDNA Excellence in Journalism Conference Sept. 25-27 in New Orleans. In the session, you’ll learn where to find key company financial information and how to dissect essential financial statements and Securities and Exchange Commission documents. Gain the skills that will enable you to follow the money and stay on top of the biggest story around – the economy. The Radio Television Digital News Association (RTDNA) and the Society of Professional Journalists (SPJ) are holding a joint conference, Excellence in Journalism 2011, Sept. 25-27 in New Orleans. Smart Phones, Smart Journalism, a one-day workshop presented by ASNE, Freedom Forum New Media Training and hosted by the Milwaukee Journal Sentinel, will be held Sept. 28, 2011. Using mobile technology to report faster and add multimedia on the go is an essential skill for today’s journalist. This workshop will teach you to extend the capabilities of your smart phone through the use of multimedia, editing, note taking, location and live streaming apps. The cost is $50, but a discount is available for ASNE members. The Block By Block Community News Summit will be held at Loyola University in Chicago Sept. 29. Join co-hosts Reynolds Fellow Michele McLellan and Jay Rosen of pressthink.org for a lively and informative gathering of online community news entrepreneurs. Share your best practices, progress and challenges with fellow local news pioneers and learn from their experiences as well. The Donald W. Reynolds National Center for Business Journalism will hold a free, one-day Business Journalism Boot Camp in Minneapolis, Oct. 4. In this free, daylong workshop, you’ll learn the basics of business for public companies, private companies and nonprofits. Award-winning professors and journalists will have you analyzing financial statements to find stories about public companies, as well as tracking public information on private companies and nonprofits. Learn how to dissect the new IRS Form 990 line-by-line to find stories about local nonprofits. Examples will be tailored to the Minnesota market. The Poynter Institute’s News University is holding an online seminar, “Becoming a More Effective Editor: Strategies for Editing Yourself, Others,” Oct. Oct. 3-21. Attendees will learn to overcome the pitfalls of editing work that you have created; check your work for clarity, organization and understanding; find more errors in copy, whether of style, grammar, punctuation or flow; and correct errors more efficiently and effectively. Applications are due August 29. The Freedom Forum Diversity Institute is holding its Advanced Multimedia Boot Camp, Multimedia Training for Journalism Professionals and Educators Oct. 12-16, 2011, and Nov. 16-20, in Nashville, Tenn., at the John Seigenthaler Center. Learn things including: shoot and edit a mini-documentary; create a WordPress blog to host a project; use Google Maps and add images and video; and incorporate Twitter and Facebook Connect on your blog. The cost is $850 for the course. The Donald W. Reynolds National Center for Business Journalism will hold a free one-day workshop, “Digital Efficiency for Business Journalists — 36 Tips to Tame Info Overload,” in New York City Oct. 13. It will include 36+ specific sites, tools and techniques for those who face a growing mass of digital information. The half-day session is not about theory or about how big the problem is, but instead about how to make each working day more efficient by using specific tools, techniques and best practices. The Poynter Institute’s News University is holding a day-long video seminar, “Video Storytelling with the Pros: Lighting, Writing and Surviving,” Oct. 16, starting at 10:00 a.m. EDT. Spend a day in this video workshop, co-sponsored by the National Press Photographers Foundation, learning how award-winning professionals work through the storytelling process. The cost is $65.00. The Society of Environmental Journalists will hold its 21st annual conference in Miami Oct. 19-23. Meet journalists from throughout the hemisphere — Chile, Venezuela, Brazil, Argentina and more — and learn what issues they face reporting on the environment. Blogalicious will he held Oct. 21-23 in Washington, D.C. Founded in 2009, the Blogalicious Weekend conferences are aimed at celebrating the diversity of women of all ethnicities in social media. Journalism Interactive: The Conference on Journalism Education & Digital Media will be held Oct. 28-29 at the University of Maryland-College Park. The event will explore the intersection of digital media and journalism education. Early-bird full conference registration is $150; day passes are $85. BlogWorld & New Media will be held Nov. 3-5 in Los Angeles. The conference is the first and only industry-wide conference, tradeshow and media event dedicated to blogging, podcasting, social media, social networking, online video, music, Internet TV and radio. The New Media Expo provides the only industry-wide new media marketplace for networking, online business and marketing resources, while the Social Media Business Summit is the world’s largest social media business conference where business owners, marketing executives and global brands learn strategies, tools and technologies to grow their businesses with social media. Register at blogworldexpo.com with the promo code MASH20 to save 20% off the ticket price! Nov. 15 is the deadline for college juniors, seniors and graduate students who have demonstrated an interest in and aptitude for copy editing to apply for several scholarships awarded each year by the ACES Education Fund, an affiliate of the American Copy Editors Society. The scholarships are open to students who will be college juniors, seniors or graduate students in the fall, and to graduating students who will take full-time copy editing jobs or internships. The Donald W. Reynolds National Center for Business Journalism will hold a free webinar, “Quick-Hit Business Investigations — Concept to Execution” Dec. 6 at noon or 4:00 p.m. EDT. Matt Apuzzo, investigative reporter at the Washington bureau of The Associated Press will provide practical advice on how to pull off investigations that might take one to two weeks. Reuters is now offering scholarships for journalists from developing countries to attend a course in London Dec. 12-16. Full Bursaries for journalists from the developing world/countries in political transition working for organizations with no resources for training. Bursaries would include air travel expenses (economy class), accommodation and a modest living allowance. This arrangement is subject to variation. Part-funded Bursaries are available for journalists from the developing world/countries in political transition who work for organizations that have limited resources for training, in this instance Thomson Reuters Foundation waives the tuition cost and the participant will be expected to cover travel and accommodation costs. In exceptional circumstances journalists from the developed world will be considered for part-funded bursaries. Applications are due Sept. 1. The Donald W. Reynolds National Center for Business Journalism will hold the Strictly Financials/Business Journalism Professors Seminars in Phoenix, Ariz., Jan. 2-5, 2012. The center is offering 24 fellowships worth $2,000 each for four days of study in business journalism for experienced business journalists and prospective business journalism professors. Fellowships cover training, lodging, materials and most meals. Fellows receive a $500 stipend to offset travel and other costs. The Scripps Howard Foundation and the Arizona State University’s Cronkite School are offering fellowships to journalism professors interested in introducing entrepreneurial concepts and practices into their teaching of journalism. The five-day institute, Jan. 4-8, 2012, will immerse participants in the concepts and practice of entrepreneurship. Held at the Cronkite School’s state-of-the-art facility in downtown Phoenix, it will be led by Dan Gillmor, author of “Mediactive” and an internationally known speaker and thinker on new media and entrepreneurship. Gillmor will be joined by entrepreneurs, investors and Cronkite faculty. The deadline to apply is Nov. 1. I was excited when I saw this month’s topic for the Carnival of Journalism. So excited, that I decided to write this post even though I’m on vacation!! We all know about Google+, which is being touted as the next new social/new media tool. I was among those who queried my Twitter users to get an invite to take it for a whirl. I got on in July, created a few circles…then did nothing. I’d read updates, but didn’t feel comfortable actually using Google+, which I found a bit confusing in the beginning. But then I found an interesting use — live blogging an event. From Aug. 3-7, the National Association of Black Journalists held its annual convention in Philadelphia. On Aug. 2, NABJ’s board of directors was meeting. We’ve had some issues we’ ve been dealing with, including our break from UNITY: Journalists of Color. I, along with other members, have had some issues in the past with how things were communicated. Back in January, I attended the quarterly NABJ board meeting, which was in Washington, D.C., and I used Twitter to cover the meeting. But about halfway through the proceedings, a board member asked me to stop, because technically, the board meeting was open only to NABJ members. I missed the April board meeting, but did attend the August meeting. Again, I was trying to find a way to cover the meeting, but only include dues-paying members. So I decided to give Google+ a try. I created the circle NABJ 2011 and used this blog, Facebook and Twitter to let folks know I would be live blogging the meeting using Google+. When people asked to join the circle, I used the NABJ website to make sure they were members. I reminded folks on the day of the event and it was off to the races. I found Google+ to be a great tool. I could post as much — or as little — information as I wanted, not constrained by a 140-character limit. Since it was live, folks could — and did — follow along in and out, but they could also go back to the stream later. And they could post questions directly to the circle that I could answer in real time, or chase down a board member to get the proper answer. I could see journalists using Google+ for a similar use, like covering a community or city council meeting. The notes taken could be used as part of a summary blog post or even a story. And the interactive feature can allow journalists to get questions from circle members they may not have thought of. So my little experiment has caused me to take a closer look at Google+ to see the possibilities. And I’m reading some great posts on how journalists do that, including: Prashant Rao’s Google+ For Journalists: A Primer; Mashable on 5 Ways Journalists Are Using Google+; and KOMU’s Jen Lee Reeves on 5 Reasons Why Journalists Should Play With Google+. I look forward to following other journalists as they start using Google+ as a tool. And watch this space as we take our own Google journey and share the results. Four of the five most powerful women in new media have Google connections, according to an annual report published by Forbes. But not a single one is of color. No Asians, African Americans or Latinas made the list. Forbes states that: ”In the fast-paced world of Silicon Valley, the number of women at the top has been slow to change.” That goes double when it comes to women of color. In fairness, Forbes published a separate piece recognizing women who wield power and influence in Africa. 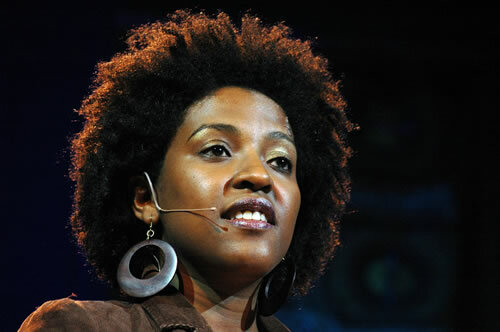 Among them, Ory Okolloh of Kenya, made that list. Okolloh is one of the 20 youngest, most powerful African women under age 45. A Harvard-trained lawyer, activist and blogger, Okolloh founded Ushahidi, a revolutionary crowd sourcing utility that enables citizen journalists and eyewitnesses all over the world to report incidences of violence through the web, mobile Email, SMS and Twitter. 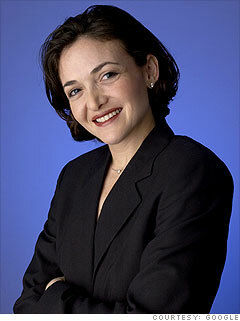 She is widely acknowledged as one of the most influential women in global technology. Earlier this year Okolloh became Google’s policy manager for Africa. Forbes highlighted five tech-savvy women as the most powerful in the world; four of the five are either current Googlers or formerly work for the giant tech media company. The second Googler, Susan Wojcicki, debuted as the 16th most powerful woman in the world. Google’s ad wizard, Wojcicki is responsible for 96 percent of the tech giant’s revenues– $28 billion last year alone. Twitter Vice President of International Strategy, Katie Jacobs Stanton, a former Googler and White House staffer, debuted as the 56th most powerful woman in the world. Jacobs Stanton joined Twitter last year and is charged with getting the world to tweet. She now has 70% of all Tweets coming from outside the U.S., and a fifth of world leaders are now on the service, including Russian President Medvedev (@MedvedevRussiaE) and President Obama (@barackobama). Before Twitter, Jacobs Stanton was the product manager of Google Finance; she also worked at the U.S. State Department. The final tech spot on the exclusive list is occupied by Yahoo CEO Carol Bartz. Bartz, number 37, is no newcomer when it comes to female power on the world stage. The 62-year-0ld has made the Forbe’s list before, so it is no surprise that even now, amid increasing investor scrutiny, Bartz continues to defend her turnaround progress at the Internet giant. “Last year, she doubled operating income, operating margins and earnings per share, but revenues remained flat at $6.3 billion. With an audience of nearly 700 million, Bartz has built Yahoo into a leading digital media company with 12 first-ranked properties in the US and eight globally,” Forbes reports. I want to spotlight some of the great work being done by DJTF members. Below is a 2:23 minute video from Howard University graduate student Brandon Gillespie from his lifestyle coaching video series. You can see my May 20, 2010, profile of him here. Enjoy! Our student chapter’s account of how the 2011 National Association of Black Journalists Convention & Career Fair unfolded from August 3-7 in Philadelphia. After months of planning, a group presentation and a date auction, the NABJ-Marquette chapter would be officially represented at the 2011 NABJ Convention & Career Fair in Philadelphia. Last year at the convention in San Diego, only our chapter president Marissa Evans was able to attend, but this year we added four more to the troupe including: Ashley De La Torre, Kendra Carruthers, Francesca Reed and Brandon Dorsey. “ S/o to @marissaaevans @AshleyDeLaTorre @KAPARAZZI @FRANtastic10 & @BCD_Pondering for representing us at #NABJ11! We’re proud of you! “ For updates on #NABJ11 starting tomorrow from campaign to workshops to the speakers follow the #NABJMU11 hashtag, our 5 will tweet on it! First night there we were in the reception mingling with other students and getting ready for a great convention. Business cards, handshakes and hugs were passed all around. The next morning Brandon & Ashley were off to the Sports Task Force Breakfast. The others hit the career fair and a panel on branding. The Black Media Ownership panel resonated well. We made sure to have someone present at the NABJ Business Meeting. A time for members to speak directly to the board of directors and vote on important changes to the constitution and how the organization itself moves forward. “ Sitting in on the #NABJ11 Business meeting — very informative, definitely encourage students to come through to learn where our org is at! After a long day of learning and campaigning we knew the NABJ Student Choice Awards would be a great way to wind down for the evening. After the awards we found a small diner not too far from the hotel to eat at. We noticed things close somewhat early in Philly. Or perhaps all the good food establishments close early. While waiting at our table, we were delighted to find a jukebox. It wasn’t quite Beach Boys or The Beatles records on this jukebox, but it did the trick for the time being. The first round of quarter scrounging allowed for unanimous agreement on playing Britney Spears’ Circus. The next song was won by the people who had the most quarters to spare. A bad slice of chocolate cake and some plates of mozzarella sticks and turkey bacon later, we were on our way back to the hotel for a few hours of sleep. We would have this happen to us though. But August 5, 2011 was D-Day. The type of day that separates a Golden Eagle from other mascots. Time to kick the campaign into high gear. “ VOTE!!! @marissaaevans for NABJ Student Rep! But after days of passing out fliers and campaigning at the convention, at 5:00 p.m. it was all over. All we could do was wait for the results in our room while Ashley, one of the election monitors, was gone for a couple hours getting the final vote count. “ Kudos @marissaaevans on great @NABJ student rep campaign. Awaiting results. @MarquetteU @NABJ_MarquetteU & your faculty adviser very proud. But it was only right that after the drama of the student rep campaign that more drama would ensue..
“ The battle for student rep #NABJ11 who will win, Marissa or Wesley..?? We along with many others were a little more than stunned. Leave it to a Golden Eagle to be part of history in some form though right? “ @herbertlowe WHOA. Go @marissaaevans! “ Humbled to have tied in the #nabj11 student rep elections, looking forward to continuing the campaign & spreading the mission/vision. We waited for Marissa to be done with an NABJ Monitor interview and after some quick discussions with our chapter advisor Mr. Lowe, we did what any chapter would do after an epic election. Later on, some of our members opted for a quiet evening hanging out with their new friends, Ashley and Marissa decided to see what the PABJ’s Philly Love party was all about. We hear all the old-school jams were played and QuestLove was on point. “ @questlove killin it tonight at the Electric Factory #NABJ11 Philly!!!! There were some concerns though when now past NABJ secretary Roland Martin kept getting on the stage to dance. But we figure journalists have to have an outlet of some kind to get their boogie on, no matter how head turning a routine! As the night progressed, after each song they were supposed to leave..but the old school jams kept sucking them back onto the dance floor (or at least Ashley got sucked back in, Marissa opted to sit a few songs out). Campaign trails and heels can wear a soul out! The next day, it was back to workshops and panels. Some went to the Black Athlete Manifesto panel while others went to the Covering Healthcare Reform panel. For our members that went to the screening of The Help, we heard nothing but rave reviews about it late into the evening. The regular movie scale from Ebert & Roper might be four stars but on the NABJ-Marquette scale the movie received 10. Thank goodness we got in line for tickets early, they went fast! A screening of Red Tails happened right after The Help and some of us stayed for that as well. “ About to watch a quick screening of #RedTails, then a panel with Terrence Howard and Cuba Gooding Jr.
Our group was separated later on in the afternoon after all the panels ended but great minds (or in this case eating habits) always seem to think alike. The evening came quickly and a few hours later we knew it was time to pack and get some sleep for our early flights. But in the wee hours of 4:00 a.m. what fun would it have been if a bit of mayhem hadn’t ensued? It was bittersweet that it all ended so soon though. “ #NABJ11 was fabulous! S/o to @NABJ_MarquetteU & all of my new #NABJ family for a great time in Philly! But our president had one last thing to say about the student representative elections. We learned a lot, ate a lot, campaigned a lot and had too many quotable moments for this Storify. We overall loved NABJ Philly and have already started brainstorming how we’re going to get to New Orleans next summer.